Let's Get Ready for Passover is a little treat for Pesach. 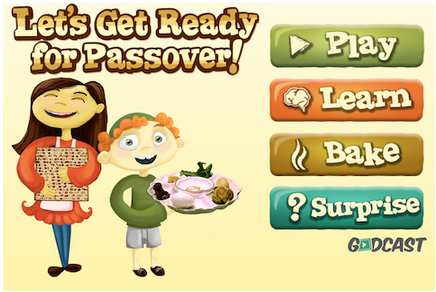 It includes a short hidden object game that teaches about Bedikat Chametz (the ritual search for leavened foods) plus a Passover recipe. 22: Let My People Go! 26: No Matzoh for Me! 2: The Four Questions "Prayer-Eoke"
14: A Documentary: Matzo-What's Up With It? 25: Parshat Yitro: The Ten Commandments Beyond The Two Tablets? 26: Parshat Mishpatim: A Writer Talks About the "People Of The Book"